Preheat grill to medium heat, or if cooking with charcoal, create a medium heat charcoal fire. In a glassware dish, whisk 4 tbsp olive oil, 4 tbsp lime juice, & 1/2 teaspoon Nature’s Promise minced garlic together. 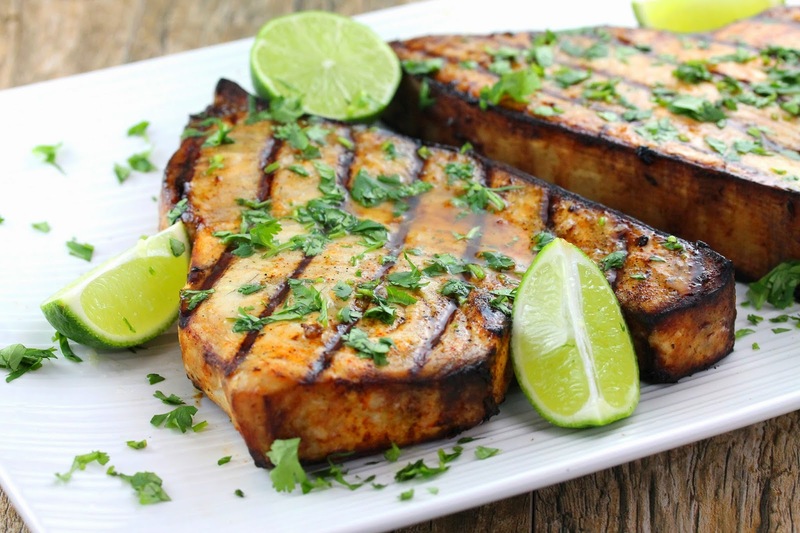 Marinate the swordfish steaks 5 minutes per side. Sprinkle a teaspoon of True Lime Salt-Free Lime, Garlic, & Cilantro Seasoning on each swordfish steak. Grill for 6 minutes per side or until fish flakes easily. Squeeze fresh lime on each swordfish steak, and add a pinch more of the True Lime seasoning, and apply a pinch of fresh, mixed cilantro as garnish to each as well. The Summer is almost here, and there’s nothing like the aroma of grilling!!! This easy & delicious combination of flavors is perfect for a steak-like fish such as Tuna or Mahi Mahi, as well as Swordfish. This recipe may be used as a Meal 4 on the Remedy Recipes format along with a cup of grilled Remedy Recipes Approved veggies, and a side salad. Try a sprinkle of the True Lime on the grilled veggies with a drizzle of olive oil. And to top off the salad, enjoy one of the delicious dressings created by Remedy Recipes Approved Primal Kitchen! 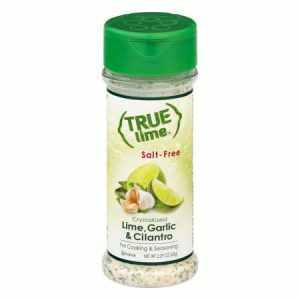 True Lime Salt-Free Lime, Garlic, & Cilantro Seasoning is available at Stop n Shop. We hope that you had a nice Memorial Day Weekend, & please remember those who sacrifice all for our Freedom. God bless them, & God bless the United States of America.